Flexible rubber saddle taps Clay, Thickwall Concrete (min. 1.25" O.D.) sewer mains to Plastic lateral pipe. Replaces T-fittings. 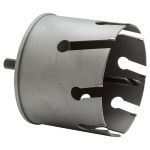 Withstands hydrostatic pressure testing up to 4.3 psi. Non-pressure, gravity flow applications only. Recommended for underground installations. 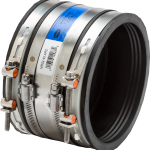 Minimal excavation and tool use (Diamond Tip Core Bit, Core Drill, Strap Wrench and a FLEX-SEAL® ARC Shielded Adjustable Repair Sewer Coupling). Easy to install and reuse. 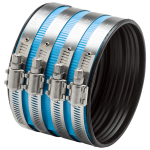 Threaded, ABS Stub-Out and EPDM gasket form a watertight, root-proof seal, impervious to infiltration and exfiltration. Synthetic rubbers permit considerable distortion without changing basic physical resistance. More pliable, easier to install in cold weather applications than elastomeric PVC gaskets. Synthetic rubber gasket resists ultraviolet rays, ozone, fungus growth, natural soil erosive properties, and normal sewer gases. 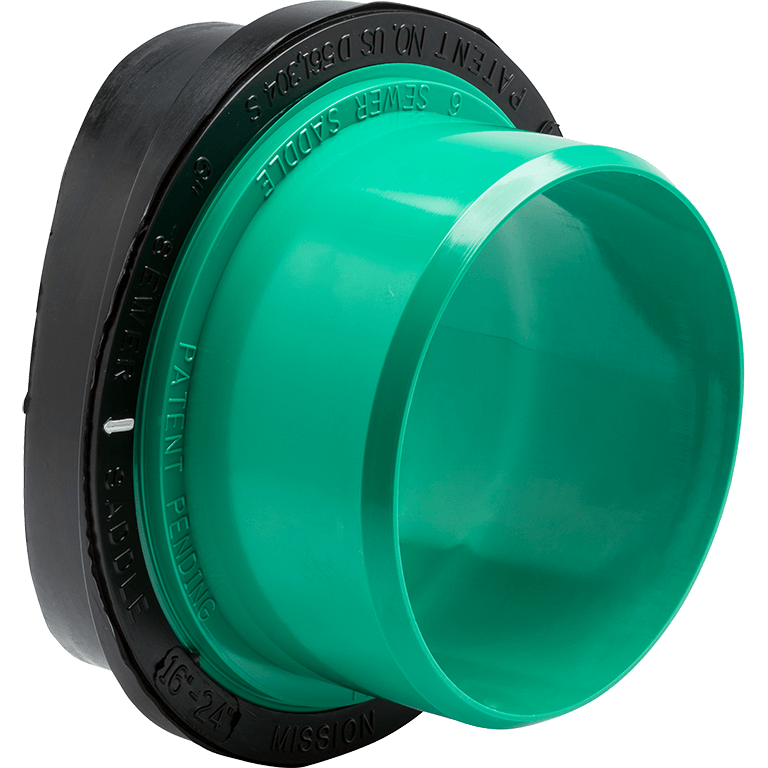 Extra thick rubber sleeve can be used with or without bushings.